April Markowski can do it all. Whether you’re a buyer or seller in Idaho or Washington, April is licensed in both states and has been a powerhouse since joining Pearl Realty. Her natural ability to connect with all personalities and develop rapport with our broad client base is a breath of fresh air. 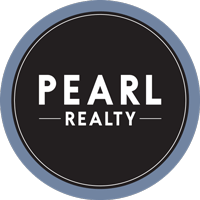 The way she treats our clients aligns well with the foundation of the company and what is valued here at Pearl Realty. This connection leads to trust. But it’s not only a common connection with each client that has made April successful. Her diligence, hard work, and persistence to uncover answers make April an excellent resource for buyers and sellers. And because April has a support services team backing her up to handle listing-oriented tasks such as advertising and transaction coordination, she can concentrate on discovering property and market information to give sellers and buyers an advantage over others. April is well suited for this position where details are of utmost importance. She sharpened these skills and more while working for the leading title and escrow officers at Kootenai Title. To support such a busy and seasoned escrow desk, April had to be detail oriented, fact finder and problem solver. Previous to Kootenai Title, April worked for Medicine Man Pharmacy as a pharmacy technician and bookkeeper for 14 years. She obtained her technician license as a junior at Coeur d’Alene High School. Working in a pharmacy requires someone who has a great deal of empathy, but also attention to detail. One mistake has the potential to be very critical or even life threatening. Outside of the office, April is enjoying life and the many adventures it brings with her husband, Dan, and their four children. They ski, boat on Lake Coeur d’Alene, travel to warm destinations and hike with their “Newfypoo” dog, Hoss. But April’s favorite pastime is watching baseball. A self-proclaimed “Giants Junky,” April won’t miss watching her current favorite player, Joe Panik of the San Francisco Giants.